The percentage of Black head coaches in Division I college basketball has declined the past 10 years. That startling development is among the findings in the 2017 version of the annual College Sport Racial and Gender Report Card, released Wednesday by The Institute for Diversity and Ethics in Sport at the University of Central Florida. During the 2016-17 season, 22.3 percent of head coaches in men’s basketball were Black on the Division I level. That figure is up by 1.5 percentage points from the 20.8 in the 2015-16 season. But there is more to the story. Despite the uptick, that 22.3 figure still is down by nearly 3 percentage points from the all-time high of 25.2 percent during the 2005-2006 season. Another finding is that the percentage of Black men’s Division I basketball players decreased in 2016-17 to 53 percent. That’s a 1.8 percent decline from the previous season. White players increased fractionally to 26.9 percent. 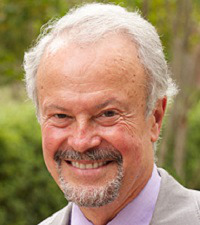 However, a different matter could be a trend. When it comes to admittance to college, Black male athletes appear to garner an advantage. For example, during the 2016-2017 season, Black male student-athletes comprised 22.2 percent, 20.4 percent and 12.2 percent of all male student-athletes in Divisions I, II and III, respectively. Latinos were 4.8 percent, 7 percent and 5.6 percent, respectively. Asian/Pacific Islanders were 1.9 percent, 1.3 percent and 2.1 percent, respectively. Native-Americans were .3 percent, .6 percent and .3 percent, respectively. When the figures for Black male athletes are contrasted with those of Black male students in general, Black males age 18 and older make up only 5.5 percent of all college students, according to a 2014 study released by the Congressional Black Caucus Foundation. Black male athletes at Division I schools are four times that figure, an astounding ratio difference. This suggests that Black male athletes are much more readily accepted in colleges and universities than non-athlete Black male students. As for Black female student-athletes, the statistics are 12.5 percent, 9.5 percent and 5.9 percent of all women athletes in Divisions I, II and III, respectively. Latinas were 4.8 percent, 7 percent and 4.6 percent, respectively. Asian/Pacific Islanders comprised 2.3 percent, 1.8 percent and 3 percent, respectively. Native-Americans were .4 percent, .7 percent and .3 percent, respectively. In football at the Division I Football Bowl Series (FBS) level, Black players accounted for 44.2 percent of student-athletes while Whites made up 41.5 percent, Latinos were 2.9 percent and Asian/Pacific Islanders were 1.7 percent. As for management-type positions in college sports, Black administrators held 9.4 percent, 6.1 percent and 4.4 percent of the athletics-director positions in Divisions I, II and III, respectively. Divisions I and III saw an increase compared to the 2015-2016 year, when Black leaders represented 8.6 and 4.2 percent of athletic directors, respectively. Division II saw a decrease compared to the percentage of the 2015-2016 year, when Black representation was 6.5 percent. Whites held the overwhelming portion of the athletics-director roles during the 2016-2017 year at 86.1 percent, 87.4 percent and 93.4 percent in Divisions I, II and III, respectively. Women made up 11.2 percent of Division I athletics directors, an increase from 9.8 in 2015-2016. 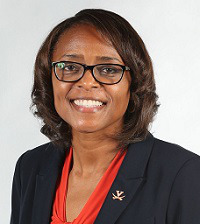 One of those women is Carla Williams, who in October became the first Black woman to be named athletic director of an FBS school, at the University of Virginia. As of October 2017, there were 14 Black, one Asian and seven Latino athletic directors at FBS institutions. Of the 130 athletic directors who oversaw FBS football programs, 108 (77.7 percent) were White males. In the coaching department, whites made up 84.2 percent, 91.4 percent and 94.5 percent of basketball, football and baseball head coaches, respectively, in all divisions combined during 2016-2017. And Black coaches were so unrepresented as head coaches in Division III that the percentage of women coaching men’s teams was higher than the percentage of Black people coaching men’s teams (6.2 percent versus 5 percent). The number of head football coaches of color at the FBS level increased from 17 in 2016 to 18 in 2017. And 86.9 percent of head football coaches were White men. Women held only 39.8 percent of the head coaching jobs of women’s teams in Division I, 35.3 percent in Division II and 44.4 percent in Division III. Women held 46.3 percent, 48.4 percent and 51.8 percent of assistant coaching positions on women’s teams in Divisions I, II and III, respectively. In Division I women’s basketball, Black women head coaches held 11.4 percent of the positions in 2016-2017 and Black men held 4.6 percent of the positions in 2016-2017 for a combined percentage of 16 percent. This was a decrease from the 16.8 percent reported in 2015-2016. As in other sports, the 11.4 percent Black women head coaches stood in stark contrast to the 43.4 percent of the Black women student-athletes who played basketball. – The percentage of White male student-athletes participating at the Divisions I, II and III levels combined decreased from 64.9 percent in 2015-2016 to 63.7 percent in 2016-2017. – In 2016-2017, White female student-athletes in all divisions represented 71.7 percent, Black female athletes were 9.3 percent, Latinas were 5.2 percent and Asian/Pacific Islander were 2.5 percent. – Ten women, including Val Ackerman of the Big East, and two people of color were listed as conference commissioners on the Division I level, the same as in 2015-2016. This indicates some progress for gender hiring in a male-dominated position, though there were no women commissioners among the Power 5 football conferences. There was only one female commissioner, and no commissioners of color, in the FBS. – Only 7.2 percent of Division I head baseball coaches were people of color. C+ for racial hiring practices with 78.3 total points, a decrease from 78.5 points in the 2016 report. C+ for gender hiring practices with 75.1 points total, up from 73.5 points in the 2016 report. C+ for the combined grade with 76.7 points, up from an overall C+ with 76 points in 2016. B+ for race in senior leadership at the NCAA headquarters. B for race in professional positions. A+ for gender in senior leadership and professional positions at the headquarters.